I’ve been thinking about Summer a lot. Probably because it’s been so cold and I need to be reminded that there will be sunshine and warmth again someday. 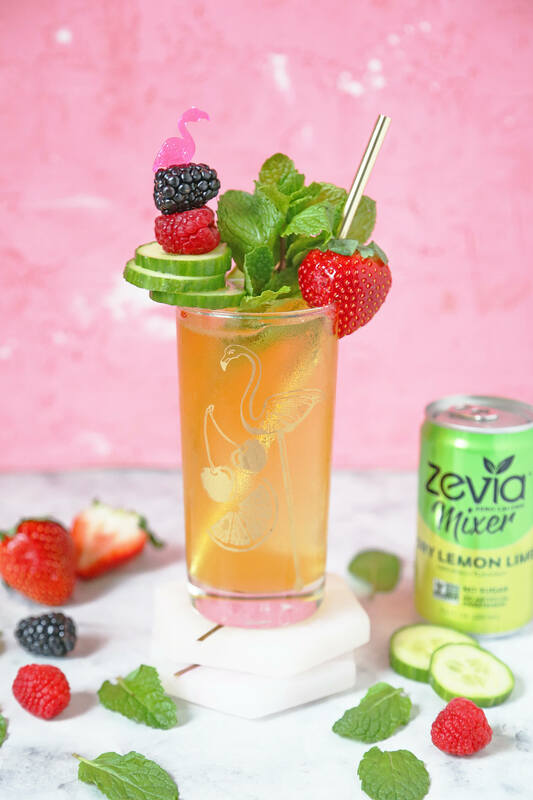 I’ve teamed up with Zevia to bring you a Winter Pimm’s Cup in honor of one of my favorite Summer classics. 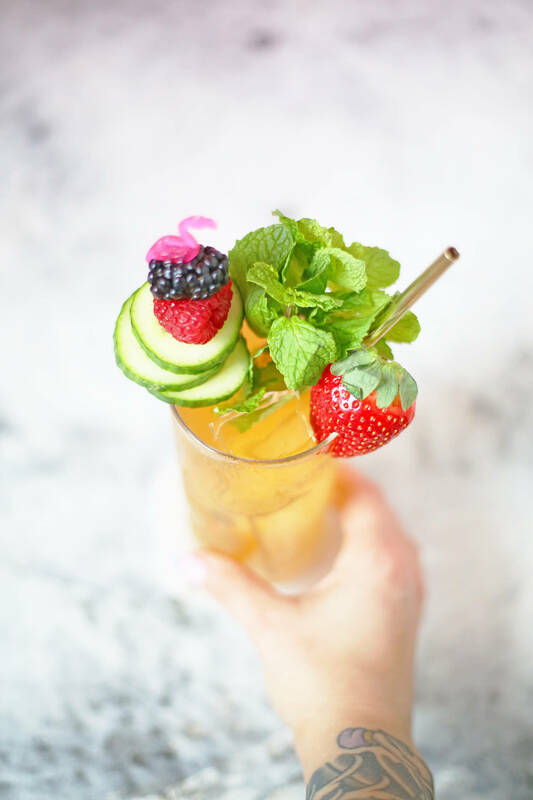 The first time I ever had a Pimm’s Cup was many years ago in the city of New Orleans. I think anything I’ve ever eaten or drunk in NOLA has become an instant favorite. It’s impossible not to fall in love with that city. New Orleans has a way of taking things that you could find anywhere and re-engineering them so that they become so uniquely New Orleans, you’d be hard-pressed to find anything else that measures up. The Pimm’s Cup is one such example. 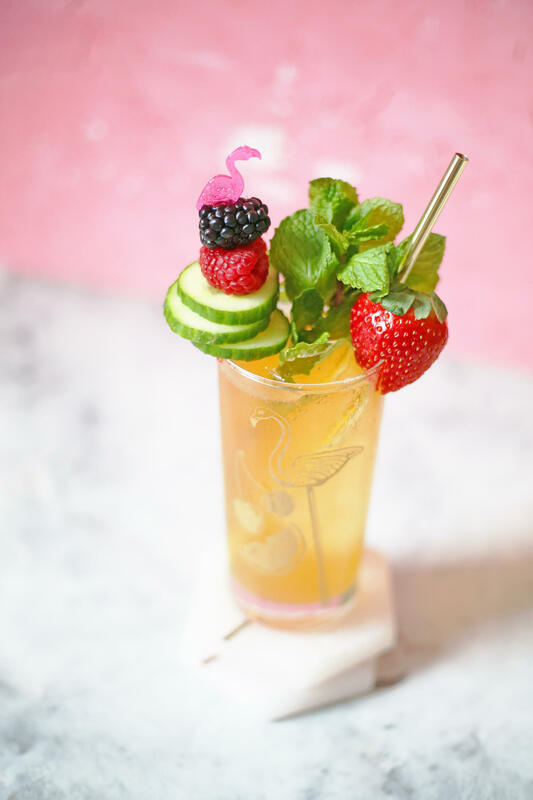 While the classic drink was born in a London bar at the hands of a bartender named James Pimm, the Napoleon House in New Orleans has taken his creation, put a slight twist on it, and placed it down in one of the city’s most charming watering holes. If you ever get a chance to visit, going to the Napoleon House for a Pimm’s Cup and a muffaletta is a must! 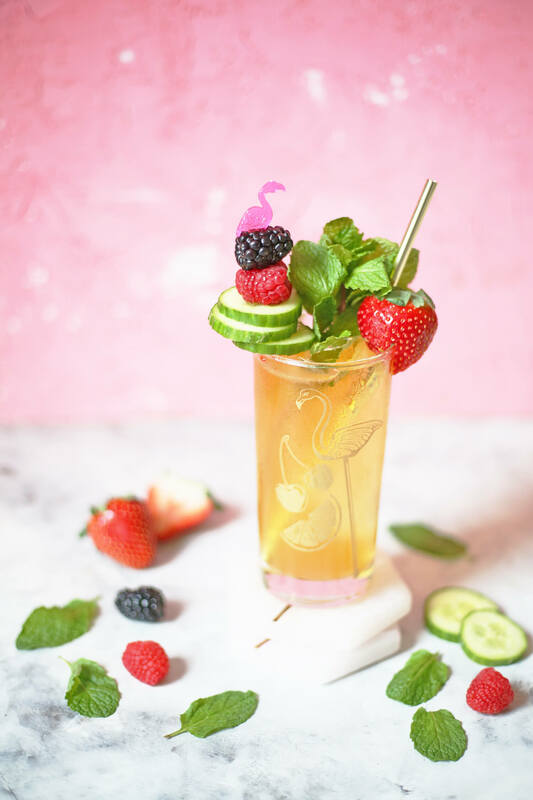 I love to make my Pimm’s Cup like the Napoleon House does — Pimm’s, fresh lemonade, lemon/lime soda and a very elaborate cucumber garnish. For my Winter Pimm’s Cup, I’ve added Scotch for a cold weather spin on the classic. 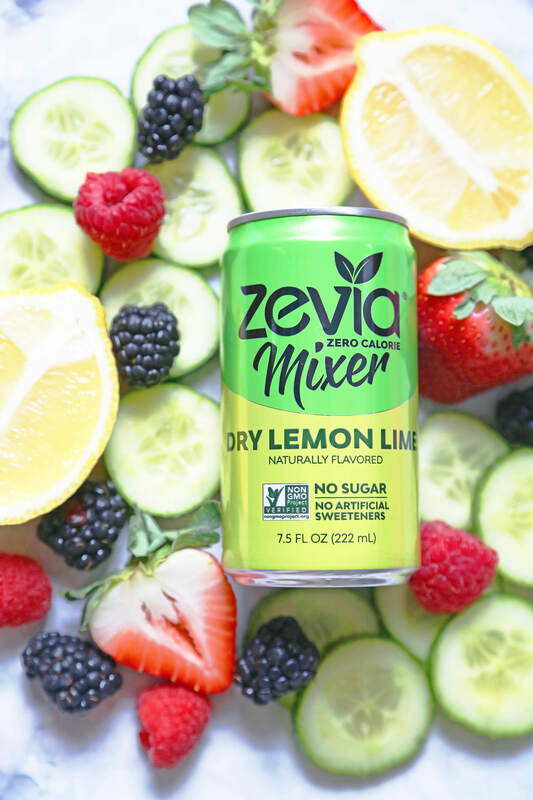 There’s no need to add the extra sugar of soda when you can make the perfect cocktail with Zevia Dry Lemon Lime. Making stevia simple syrup is easy and a great way to make your cocktails a little healthier. Mix 2 tablespoons of powdered stevia with 1 cup of warm water and stir until completely dissolved. The consistency of this syrup will be much thinner than traditional simple syrup. Stevia simple syrup still works perfectly for adding sweetness and balancing out citrus in your drinks. 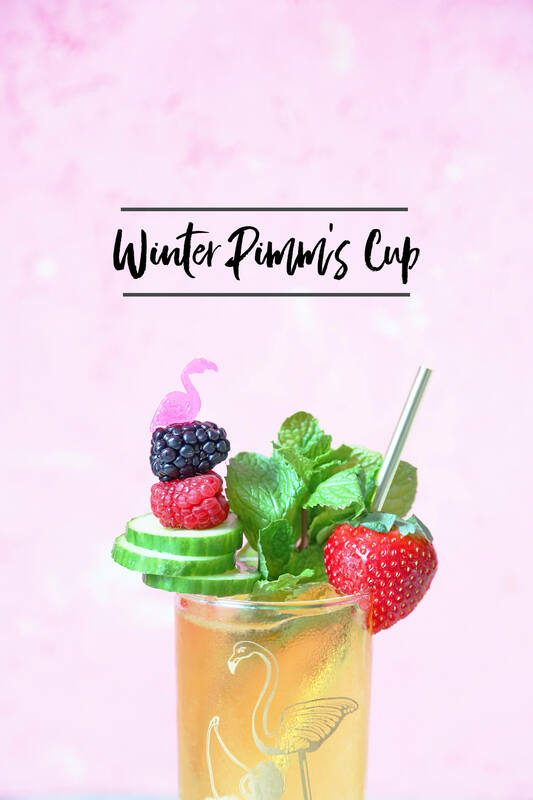 To make a Winter Pimm’s Cup add some berries, mint, cucumber, lemon juice, and stevia simple syrup to a tin. Give it a quick muddle and then add your Scotch and Pimm’s. 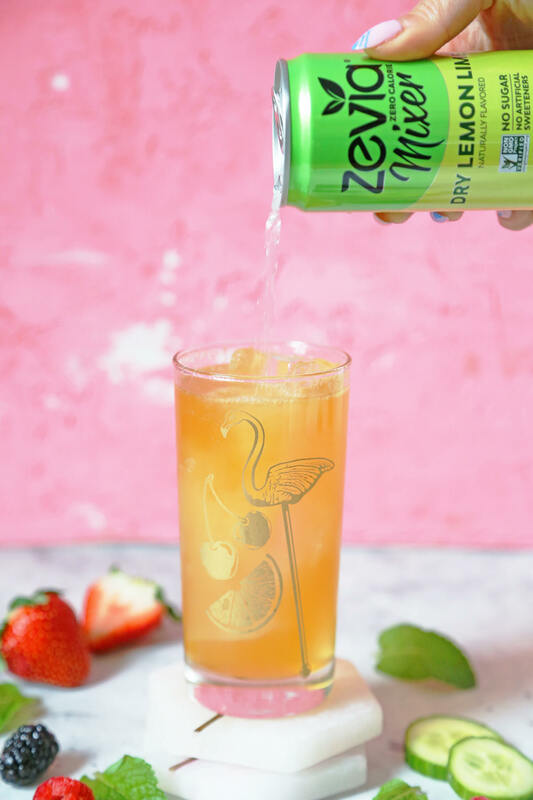 Shake with ice and strain into a highball glass over ice and top with Zevia Dry Lemon Lime Mixer. 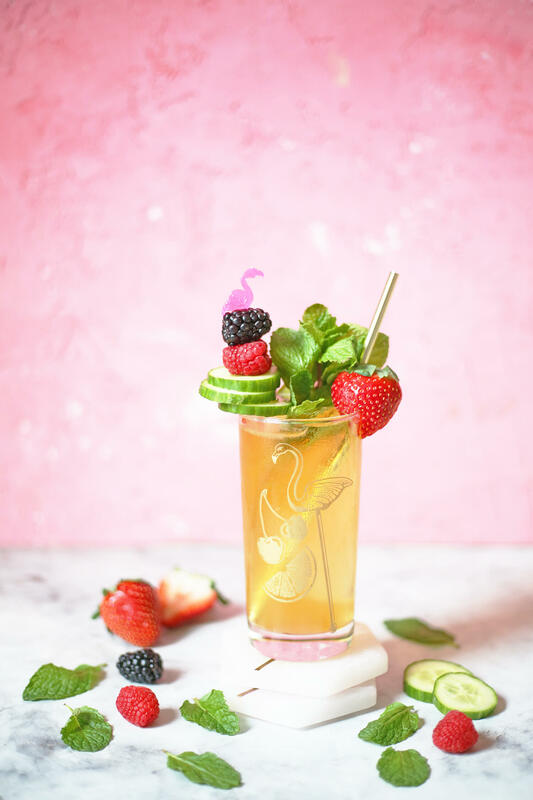 Garnish elaborately with a bouquet of mint, berries, and cucumber slices.